What you should know about the April birthstone, the beautiful diamond! 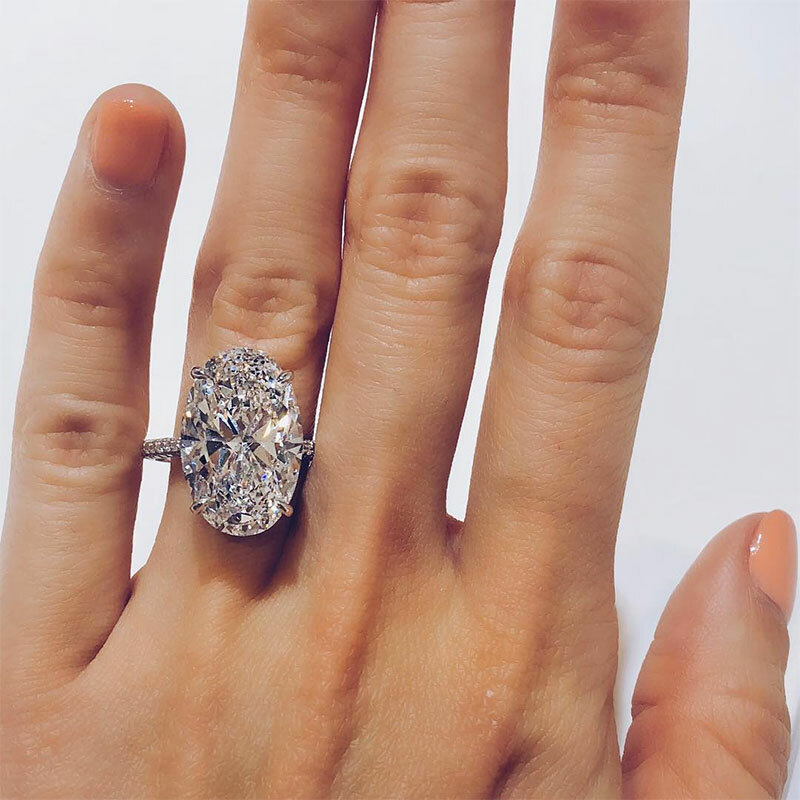 Ahhh, the lucky ladies who were born in April; they are fortunate enough to have one of the most beautiful and sought after gems as their birthstone because the April birthstone is the beautiful diamond. As a Gregorian poem of unknown origin says, “She who from April dates her years, diamonds shall wear, lest bitter tears for vain repentance flow.” When it comes to having a great birthstone April certainly takes the prize! 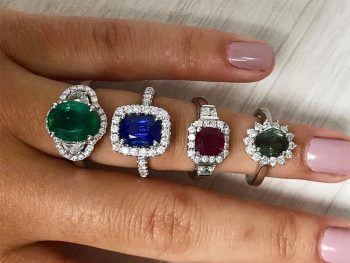 The birthstone for April was determined by a trade association of jewelers in the early 1900’s who decided to take the hodgepodge list of birthstones at that time and consolidate them into one concise list that everyone would have access to and could follow. 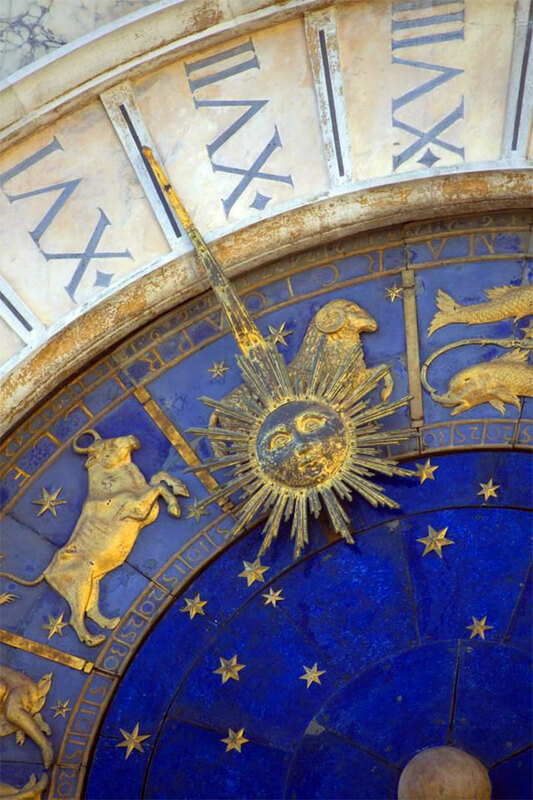 Thus, the diamond was named the modern birthstone for April. Diamond birthstone jewelry is not hard to find, because just about any diamond jewelry can be considered to be birthstone jewelry. 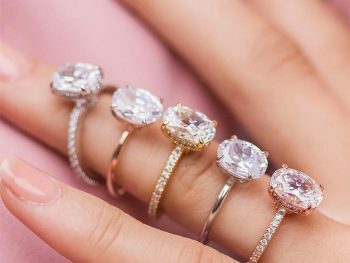 The only drawback may be that when such things as bracelets or birthstone rings for moms are constructed, having a sibling born in April can cause the item’s cost to skyrocket due to the diamond included in the design. That can usually be addressed, however, by using a substitute for the diamond such as cubic zirconia. Diamonds are the hardest gemstone, having a hardness rating of 10 on the Mohs scale of hardness. 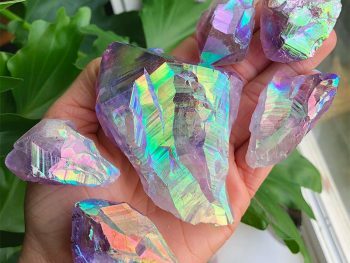 They are also one of the few gems that have what is known as perfect cleavage, making diamonds easier to cut precisely than most other stones, and the cuts result in very smooth planes that can be polished to a high shine. 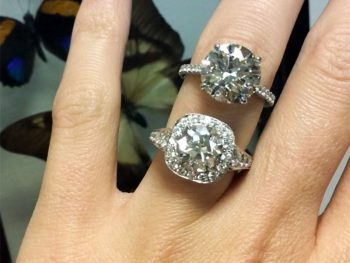 It also means that diamonds can be cut into many gorgeous shapes; round, square, pear, or marquis. 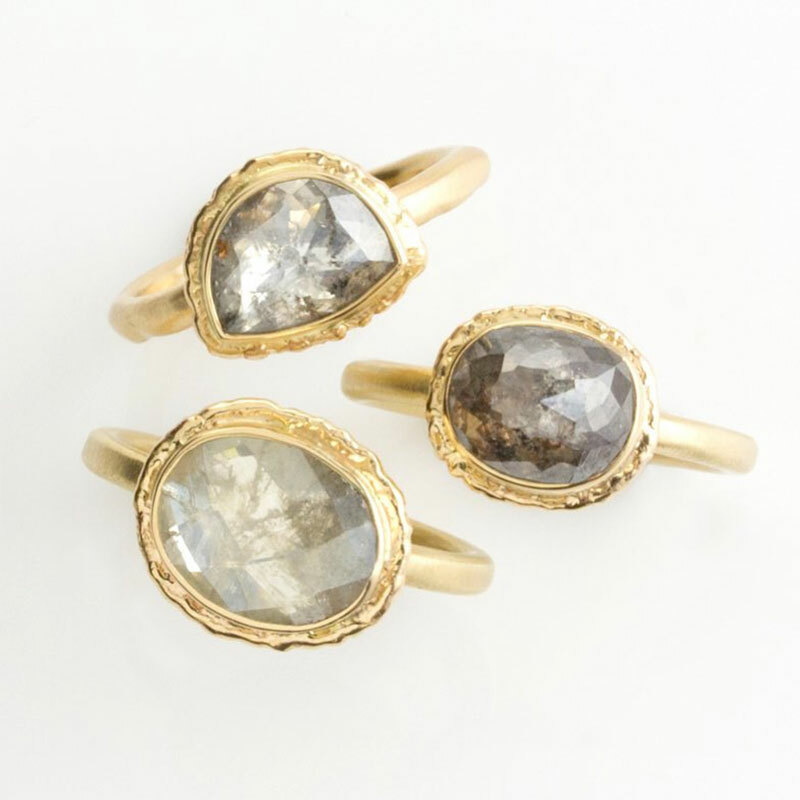 Gorgeous antique cushion cut diamond rings would even make wonderful birthstone rings for any woman. Diamonds are graded with 4 different criteria: color, cut, clarity and carat weight. 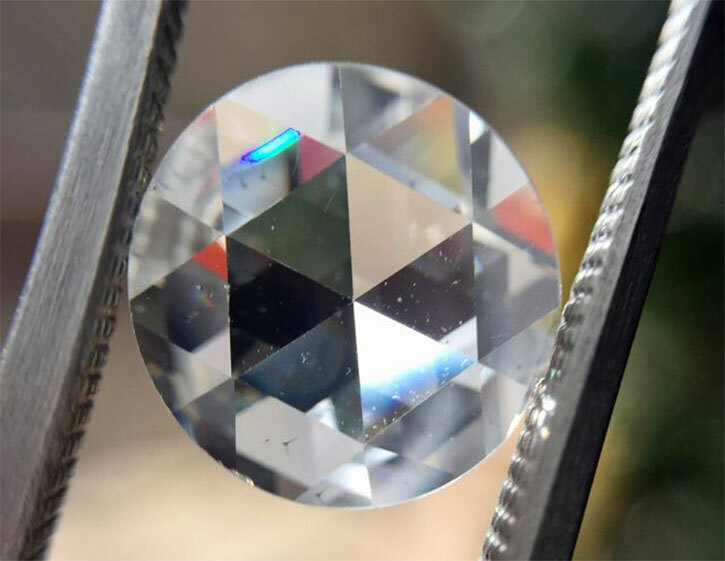 As a general rule, round diamonds that are 5 mm across (about half the size of a pencil eraser) will weigh approximately .5 carats, and one that is 10 mm across will weigh approximately 3.5 carats. 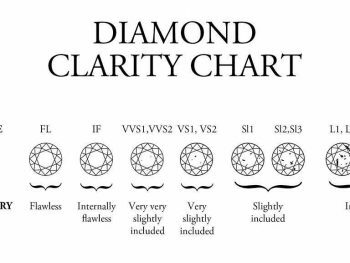 The clarity of a diamond is determined by how many inclusions it has embedded inside it. Most fashion or costume quality birthstone jewelry will employ the use of lesser quality diamonds that may not have exceptional clarity and/or color. 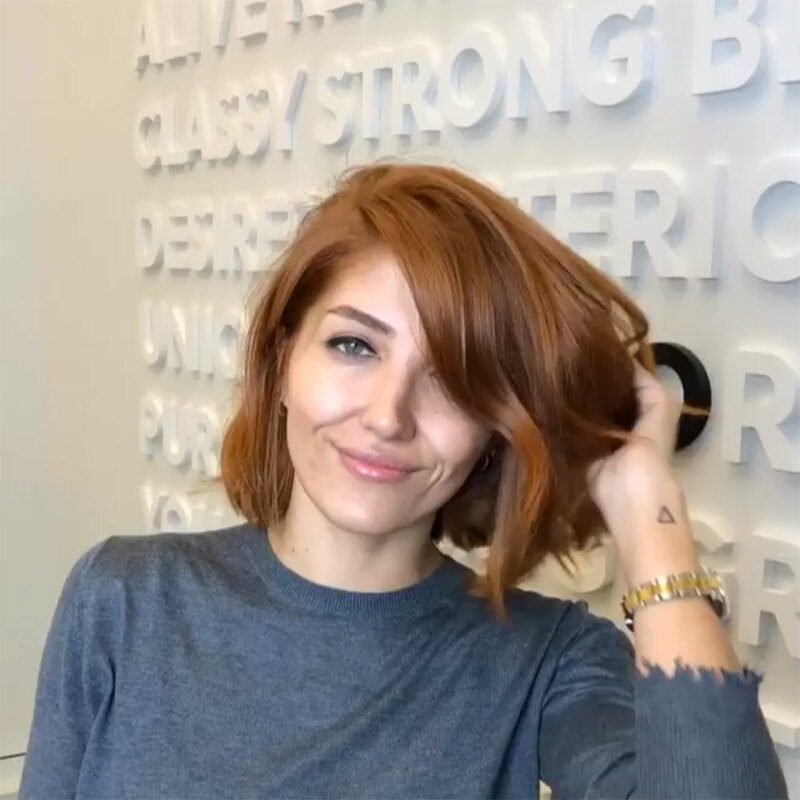 These pieces will cost less, usually $100 and under. Fine April birthstone jewelry made with good quality diamonds will have a cost comparable to any other diamond jewelry and may cost hundreds of dollars, if not thousands of dollars. 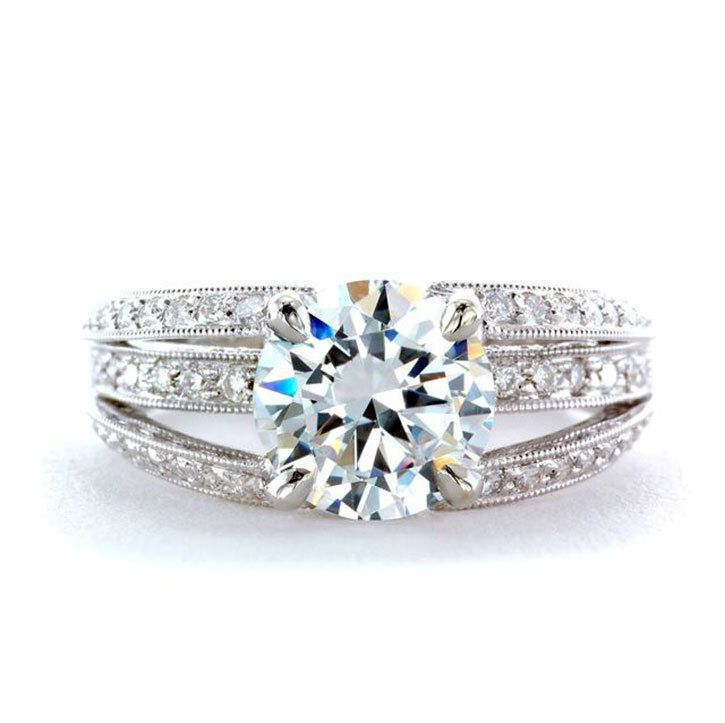 Traditionally, the April birthstone color is a clear or white diamond, as opposed to a colored diamond. This is because if colored diamonds were used, they could be confused with other birthstone gems. Some colored diamonds such as pink and blue diamonds tend to be extremely expensive, so there is the cost factor, also. I have heard some women complain that birthstone jewelry made with their April birthstone – a clear diamond – is boring. 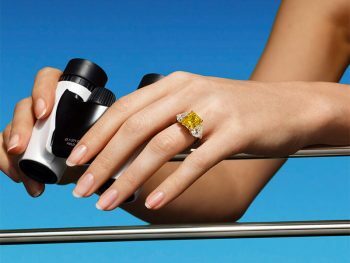 My opinion is this: If you love yellow diamonds, or even those gorgeous chocolate diamonds that are so popular these days, or pink or blue diamonds and you can afford them, why not? It’s a diamond, correct? If you want to claim a colored diamond as your birthstone, then, by all means, do it! 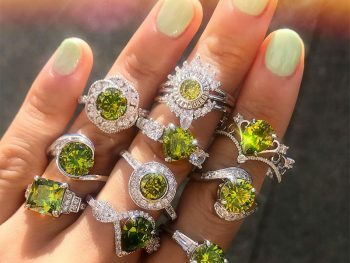 There are so many different types of birthstone jewelry; you may be wondering what the most popular types might be. Far and away, necklaces are the most popular type of birthstone jewelry, followed by rings and bracelets. 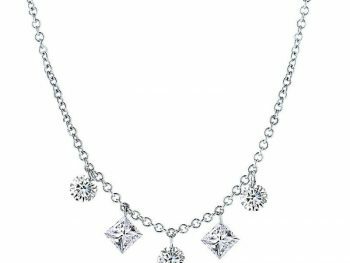 Necklaces are the most popular type of jewelry in general, so it makes sense that a birthstone necklace would be the type that is given as a gift and chosen for birthstone jewelry most often. 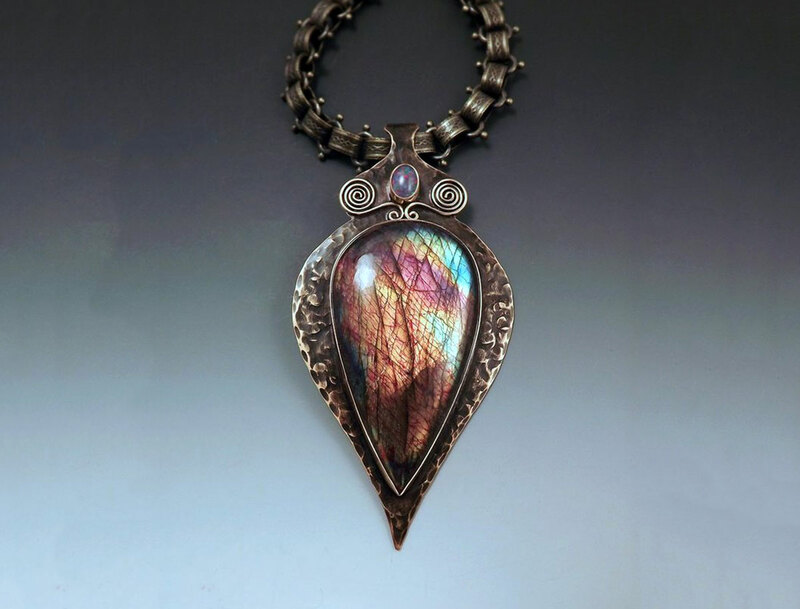 The range of styles and price points for birthstone necklaces are the main reasons why they are so often given as gifts to mothers, daughters, sisters, aunts, etc. Rings are also very popular to give mothers as gifts from children, with all of the sibling’s birthstones included. Charm bracelets are the next most popular type of birthstone jewelry. 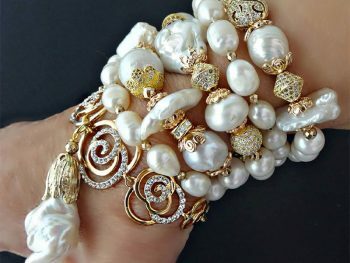 Whether it is an Italian charm bracelet, a Pandora charm bracelet, or a traditional charm bracelet, they can be designed in many different ways and with many materials and will have room on them to accommodate a large amount of birthstones, if needed. Silver Pandora type bracelets can be found that cost less than $25, and individual birthstone charms can be found (usually with imitation or cubic zirconia gems) for $15 to $25 each, making one of these bracelets very affordable. 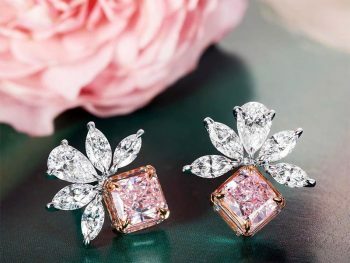 April birthstone jewelry will certainly be beautiful, whether it is made with clear diamonds, or with colored diamonds, or even a diamond substitute, like cubic zirconia or crystal. The internet and places like Amazon.com have made it very easy to find just about any style of birthstone jewelry that is desired. Birthstone jewelry certainly makes a wonderful gift, especially for moms, but it is certainly not restricted to just moms. 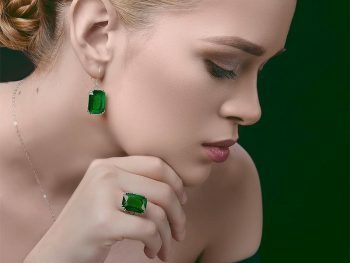 I can’t think of many women who would not love a piece of birthstone jewelry filled with the birthstones of those that she loves.